Released in 2013, BCPoker is among the poker rooms that operate through the virtual currency Bitcoin. As such, it offers its online poker players the freedom to anonymously play poker with Bitcoin, along with the other great benefits offered by Bitcoin online gambling. While many Bitcoin-powered poker rooms and betting sites have already emerged in the online gambling scene, this poker room still manages to keep up with competition, especially in terms of providing bettors with a satisfactory online poker gambling experience. Read more about the key features that make it worthy of playing poker on. BCPoker surely knows how to win the hearts of online poker players, because it offers a range of tournaments, sit-n-goes, and cash games along with freerolls that are held every hour all throughout the day. Moreover, the rakes for these games are low and reasonable. In fact, the rake for the No Limit and Pot Limit games are 2% of the total pot size. The maximum rake for these is 0.01 BTC or 10,000 chips. However, in order to enjoy these games and tournaments, interested players from all over the world must first register for an account. Those who sign-up may also participate in the freerolls to begin winning payouts even without depositing bitcoins into their account. 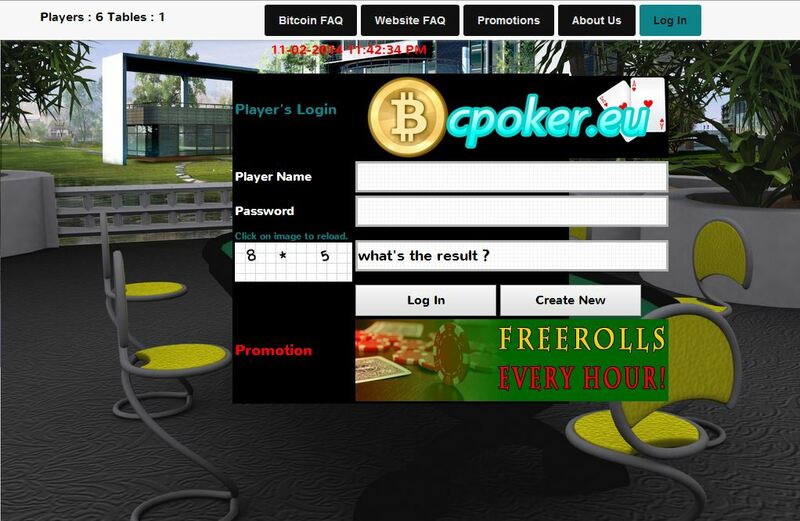 Although the poker client used by this Bitcoin betting site is not of premium quality, especially when it comes to the graphics and design department, it still manages to provide remarkable online Bitcoin poker experience. After all, it is easy to use and does not require a download. Therefore, poker players can instantly wager on a variety of games and tournaments right in their web browser. In addition, the betting interface of BCPoker allows them to resize the tables and create multitable. They just simply have to drag the lower right corner of the table to adjust the size and move the tables to their preferred position. 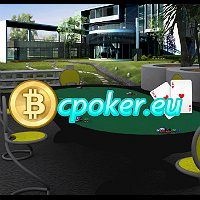 What is great about this Bitcoin poker betting site is that it treats its online players to quality bonus deals. For instance, they can find poker games with rakes of as low as 0.000011 BTC. Likewise, they can get a 33% rakeback when they successfully make referrals. Moreover, newly registered poker players will be given free 100 chips. BCPoker guarantees that the funds of every player are stored in offsite wallets to prevent any form of theft. Thus, bettors can relax, knowing that their bitcoins are not subject to unauthorized withdrawals and access. On another note, transferring funds between their account and their wallet address is quick and simple. When depositing, bettors must simply take note of the provided wallet address while withdrawals are processed in a few minutes. Also, the conversion rates are regularly updated.